Valuing the lifestyle of the Filipino people is one of the motivations that keep Barangay Cherry Mobile working in service of poor communities. And part of protecting their healthy lifestyle is to make sure they get access to essential health care. For this reason, Barangay Cherry Mobile held another Operation Tuli this year at Imus, Cavite. A total of 106 young boys benefited from this activity, marking a milestone in their life as the community usher them into adulthood after the circumcision rite. Kids posed for a photo as they waited in line. Kids from the activity site as well as adjacent barangays came in early to secure their slots. Volunteers from the community assisted in handling the kids during the minor surgery. Part of the activity flow included a counseling session to psych up the kids in preparation for the minor surgery. This activity, held in coordination with Operation Blessing, was intended to bring beneficiaries an awareness and understanding of the medical and social advantages of circumcision. The benefits of it included reduced risk of acquiring Human Immunodeficiency Virus (HIV) and other sexually transmitted diseases (STD’s), as well as penile cancer and urinary tract infection (UTI). Barangay Cherry Mobile also aimed to create significance in the lives of the kids by supporting them in going through this cultural and medical practice and welcoming them to the next stage of development as an individual. Barangay Cherry Mobile seeks to get in touch with the important moments in the lives of its beneficiaries, and to show it cares by making these moments worth remembering. 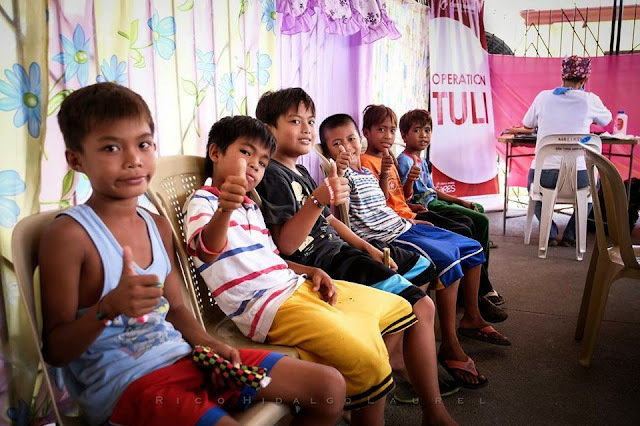 The Operation Tuli team included volunteers from Operation Blessing and Cherry Mobile.